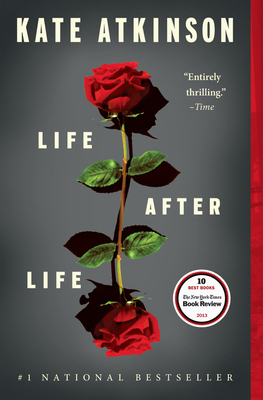 Life After Life: A Novel (Paperback) | Eagle Harbor Book Co. In the story of Ursula, her main character, Atkinson has given us a hugely marvelous novel. Ursula's multiple deaths between 1910 and 1967 beautifully illustrate both the writer’s craft and the avenues presented by fate and even the smallest of life's decisions. Encompassing the history of a family in an English country home, as well as London during the Blitz and Hitler’s inner circle in Germany, Ursula’s tale brings one closer to the possible resonances between one’s daily life and the larger events of one’s time. Life After Life is a puzzle that delights, kaleidoscopically brilliant and a satisfying adventure to read.